Sonia Clemens (’20) is at Furman University. Originally from Rock Hill, SC, Sonia is an intended Environmental Science and German double major. A participant in the Environmental Community of Students Engaged Living program, she is the Lake Restoration Education and Outreach fellow this year. Her fellowship includes working together with Josie Newton to promote the overall health and water quality of the lake. Over the year, Sonia plans to document the progress being made on the lake and create educational signage for the community. Sophie Friis (’20)is from Greenville, South Carolina and she is the Assistant Farm Manager at the Furman Farm where she spends her time planting all things veggie and having the time of her life. William Ridley (’20) is from Lilburn, Georgia. His dream is to become a traveling photojournalist for National Geographic. He is currently the Recycling Fellow at the Shi Center for Sustainability, responsible for picking up campus-wide outdoor recycling and evaluating Furman’s efficiency in partnership with facilities and the waste management team. You’ve probably seen him on a golf cart once or twice, because he’s usually out and about collecting paper, aluminum, and plastic recycling from 20 locations all around Furman’s campus. William worked with the ECOS club in high school which sparked his interest in recycling. He is always open for suggestions on where there may be a need for new recycling bins and/or any ideas on how to increase student participation in recycling efforts. And with Furman’s third place finish in per capita recycling in the nationwide RecycleMania competition, we’ve got a reputation to uphold. Haley Disinger (’20) is from Herndon, Virginia. She is planning on majoring in Environmental Science or Sustainability, and is this year’s Student Assistant Compost Manager. This position involves picking up all of the food waste from Furman’s dining hall, moving it to either the Furman Farm or the off-campus location, and eventually turning it into nutrient-rich compost. In addition, this year she will be picking up the process of making Furman’s compost commercially marketable. In her free time, Haley enjoys long naps and looking up at the night sky. Elena Oertel (’19) is a sophomore here at Furman University. She is from Burlington, NC and is majoring in Sustainability Science. She is the Student Outreach Fellow this school year, which she believes is an awesome opportunity to connect with others who have the same passion. Celia Castellano (’19) is a Sophomore here at Furman, most likely majoring in Sustainability Science. She has a passion for food and the environment as well so working for Bon Appetit is a dream come true. And just some background facts, I’m from NY, have a beautiful golden retriever and 7 siblings. Sophia Pessagno (’19) is a Sustainability Science Major from Washington, DC. She is currently a Waste Management Plan Development and Audit Fellow at the Shi Center for Sustainability. Along with her teammate, Chambers English, Sophia is currently evaluating Furman’s waste footprint and is developing a Zero-Waste Plan that will allow Furman to reach this goal by 2026. Prior to her graduation in 2019, Sophia’s goal is to have measurably reduced waste output, particularly in the DH, thus providing Furman momentum to meet its 2026 goal of Zero-Waste. Growing up the United States, Latin America and Europe, Sophia has witnessed a variety of innovative ways communities reduce waste, some of which she hopes to incorporate in Furman’s Waste Management Plan. Haley Eckert (’19) is a pre-engineering physics and (most likely) applied math double major from Dallas, Georgia. Pursuing a career in either environmental or materials science and engineering, Haley is interested in energy conservation and finding alternative energy resources that are environmentally friendly. Therefore, she is very excited to be working as the Community Conservation Corp Fellow at the Shi Center. The Community Conservation Corp achieves its mission of reducing energy consumption, promoting homeowners’ financial stability, and increasing environmental awareness in the Greenville community by performing free home weatherizations for low-income clients. These weatherizations modify the homes in order to make them more energy efficient. Aside from helping at the weatherizations, Haley organizes the data collected from before and after the home weatherizations in order to comprehensively analyze the results of the weatherizations in terms of the CO2 offset and monetary savings. Joe Hiebert (’18) is a Sustainability Science and Economics double major from Brentwood, TN. Joe is continuing the sustainability assessment work he began last summer with the help of Logan Richardson. His work centers around preparing the greenhouse gas (GHG) inventory and looking at ways for Furman to improve its sustainability performance within the framework of the Sustainability Tracking and Assessment Reporting System (STARS). Joe is currently looking into ways to improve Furman’s performance in investing by looking into the possibility of impact investing and improving investment disclosure. Joe is a member of investment club, secretary of Student Alumni Council, and recruitment chairman of the Sigma Chi Fraternity. After Furman, Joe plans to pursue Finance or Corporate Sustainability. 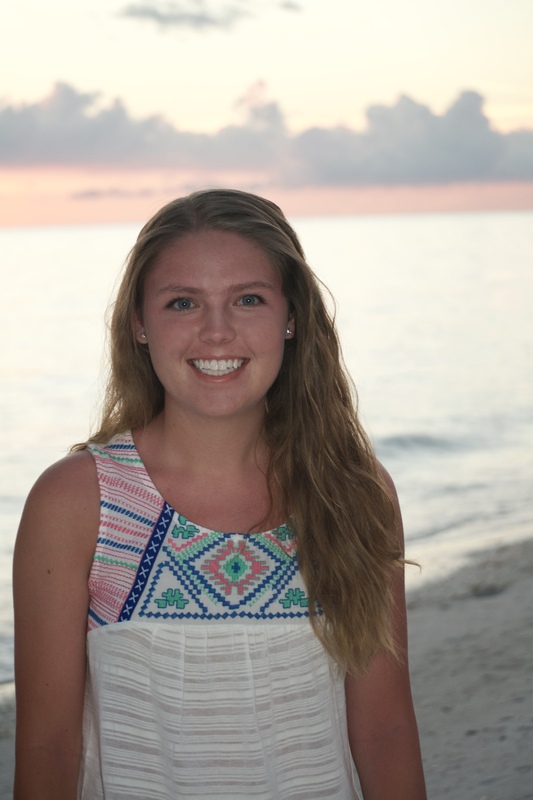 Lauren Prunkl (’18) is a Sustainability Science major from Marietta, Georgia. At the David E. Shi Center, she works alongside Julia Norton as an Alternate Transportation Fellow. She researches ways to improve the alternate transportation options on campus, promote biking, and establish campus and Greenville community connections. Her main job is running the campus wide bike rental program called the Paladins on Bike (FUPOB). This is a semester bike rental program for students on campus who do not have a bike. The program started in 2014, and currently has twenty bike rentals. Students pay $30 to receive a bike, U-lock, and helmet. Lauren helps market the program, distribute the bikes, facilitate basic maintenance, and collects the rentals at the end of the semester. She also interned at Village Wrench this summer in the West Greenville community. Village Wrench is a non-profit connected with Mill Community Ministries which strives to build up the community through youth employment, building community relationships, empowerment, and fixing bikes. In her free time, she loves to try new baking and cooking recipes, reading, hiking, and riding on the Swamp Rabbit Trail. Logan Richardson (’18) is a Sustainability Science and Economics major from Columbia, SC. She is currently working on her third year as an Assessment Fellow for the Shi Center. Previously, she focused on the AASHE Sustainability Tracking and Assessment Reporting System (STARS), which is a self-reporting framework for universities to measure their sustainability performance. Furman actually received a Gold rating for the first time, indicating the University’s improvements in sustainability. This year, Logan is working on the greenhouse gas (GHG) inventory to track the greenhouse gases produced through various campus activities. Logan also serves as treasurer of the Environmental Action Group (EAG), has conducted research in Sustainability, and is currently working on phasing out bottled water on Furman’s campus through a bottle tax. In her free time, Logan enjoys spending time outdoors through hiking and biking. 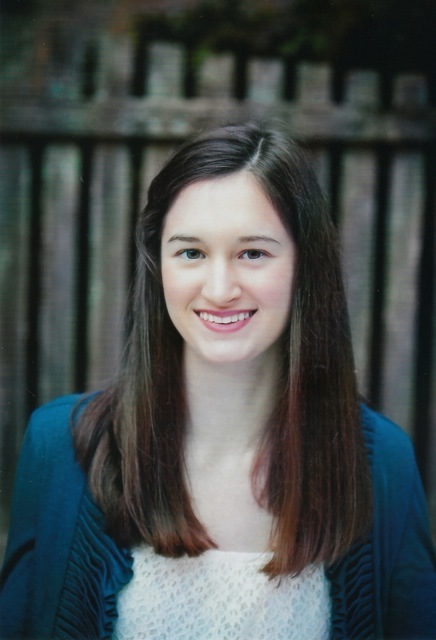 Julia Norton (’17) is a senior at Furman University. Julia, a health science major with a focus in communications, was born and raised in Atlanta, Georgia. She is currently one of the Alternate Transportation Fellows at the Shi Center for Sustainability. She works alongside Lauren Prunkl in an effort to encourage transportation methods disregarding automobiles. Her fellowship entails co-running the bike rental program, Furman University Paladins on Bikes (FUPOB), as well as managing other sustainable initiatives on campus. These enterprises will contribute to Furman’s 2026 goal of carbon neutrality. She has a passion for environmental justice and hopes for a world in which no one is at a disadvantage due to economic or familial status. Josie Newton (’17) is a Sustainability Science major from Columbia, SC who currently works as Furman’s Rain Garden and Lake Restoration Research fellow through the David E. Shi Center for Sustainability. In partnership with Sonia Clemens, Josie maintains Furman’s system of rain gardens and riparian buffer zones surrounding Furman Lake in addition to working on lake restoration projects and taking water quality samples to analyze and document the effects of these restoration efforts. The goal of Josie’s fellowship is to provide the Furman Lake ecosystem with a healthy buffer of desirable native plants that will filter, correct, and protect water quality now and in the future. 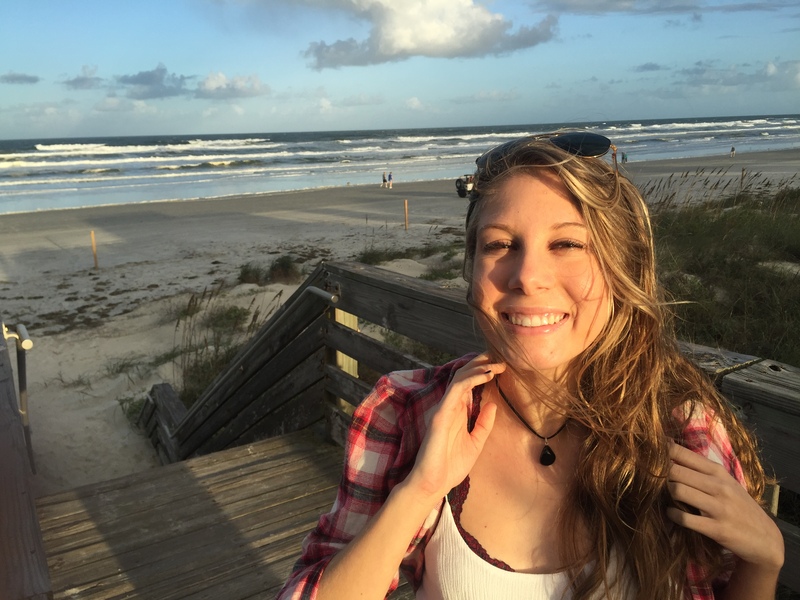 Josie’s other interests include sustainable agriculture and organic farming, hiking in the Blue Ridge Mountains, going to see live music, nature photography, jewelry-making, and ceramics.